With nearly 20 years of microfluidics experience, PerkinElmer continues to lead the industry in microfluidics technologies and innovations. Whether the research is focused on protein structure, genomic analysis, or compound screening, PerkinElmer has developed transforming instrumentation that leverage the benefits of microfluidics technology, improving data quality and accelerating the results. Antisel through PerkinElmer offers a wide range of plate readers to meet the diverse application requirements of any lab. From Absorbance and Luminescence / Fluorescence to Well imaging and Label Free Detection, each multimode plate reader features leading technologies, so no matter which instrument you choose, you can expect excellent performance for your specific applications. PerkinElmer High Content Screening allows scientists to image more samples and analyze more parameters so that they can answer complex biological questions. The complete analysis capabilities, makes the systems suitable for a wide range of applications from basic research to assay development and screening. Antisel through PerkinElmer offers a complete solution toolset for in vivo imaging. 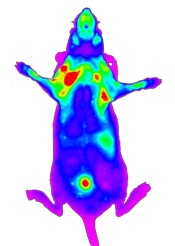 Our pre-clinical systems include 2D and 3D Fluorescence, Luminescence, Micro CT and PET imaging technologies as well as the industry’s widest selection of imaging reagents.